Sometimes you just want a no-frills, sensible sedan. And sometimes you want the very best no-frills, sensible sedan--and that's when you choose the 2018 Nissan Altima. Just because you're driving a compact car doesn't mean you have to feel compacted. Let the 2018 Nissan Sentra show you why. What's not to like about a car that's as incredibly affordable to buy, cheap to run, spacious, and reliable as the 2018 Nissan Versa? With unbelievable interior comfort and a strong, efficient performance, the 2017 Nissan Altima is highly prized among a wide range of buyers. If you're shopping for a little luxury, the Altima can't help but impress with its comfortable interior, smooth ride, and excellent fuel economy. The 2017 Nissan Sentra is a solid, safe option for those looking for a reliable compact vehicle. Offering unique options and some impressive standard features, the Sentra takes the stress out of driving and replaces it with fun. Make a splash with the youthful, vibrant, and powerful 2017 Nissan Versa Note, a modern hatchback with an attractive price tag. Customizable on another level than most vehicles in this class, the Versa Note combines technology, comfort, and performance to deliver big promises in a small package. 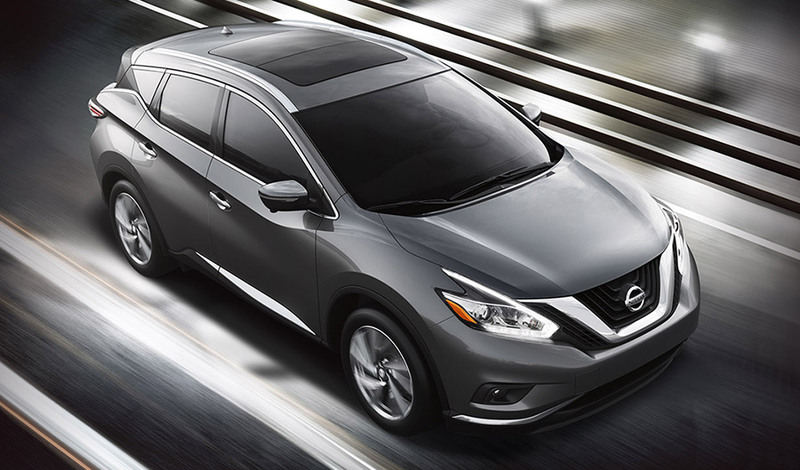 The 2018 Nissan Murano is the sport utility vehicle with the stylish swoop. The Pathfinder has found its way right to the doors of those who need the utility of a minivan but won't cave to the minivan lifestyle. The 2018 Nissan Rogue Sport is basically everything buyers want in a compact crossover, as well as an excellent value. Youthful style and sporty performance are what make the 2017 Nissan Juke tick. The Juke offers a host of options you won't find elsewhere, from custom online design to luxurious options, but never shies away from its sporty performance. 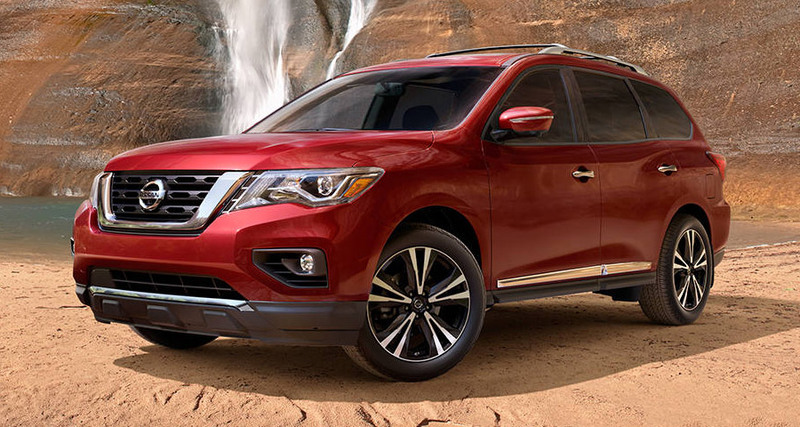 Strike the perfect balance of spread-out space and wallet-friendly acceleration with the 2017 Nissan Pathfinder. Its seven seats and versatile cargo hold pair well with your daily grind, offering enough space for your cargo, whether that be two- or four-legged kids or their stuff. The 2017.5 Nissan Rogue is the SUV with the right size with the right features for the right price, making it one of the best-selling models out there. An efficient, affordable crossover vehicle, the 2017 Nissan Rogue provides sleek design and impressively thoughtful extras to create the best of both worlds: a car that is beautiful to look at and even better to drive (and ride) in. From a sleek and luxuriously sport design to the integration of technology throughout the vehicle, the Rogue is a true contender in the SUV world. For a budget-friendly take on rugged utility, check out the 2017 Nissan Rouge Sport. The Rogue Sport's compact body makes it highly maneuverable, while up to five passengers enjoy plenty of room to keep their rides enjoyable. This new variation of the bestselling Rogue is a real contender in the world of compact SUVs. 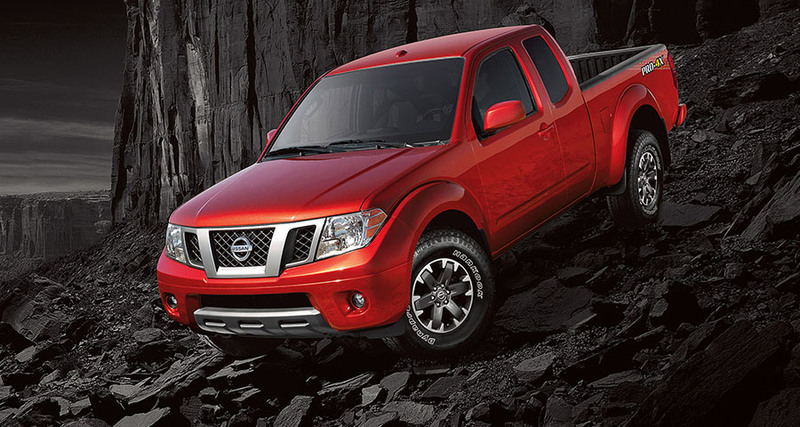 Unless you need heavy-duty levels of capability, you'll have to go a long way to beat the rugged good looks and excellent value offered by the 2018 Nissan Titan. When you've got boulders to climb or heavy loads to tow, the 2017 Nissan Titan is the only full-size truck that supplies raw diesel power to get the job done. The Titan fits a unique niche in the market: stronger than the average light-duty truck but less expensive than a heavy-duty vehicle. The Titan is the perfect choice for you if you need to move substantial loads regularly for a more budget-friendly price tag. Inside, the Titan's crew cabin is attractive and spacious, with upscale perks that might surprise you. Whether you're shopping for a way to transport passengers or heavy construction supplies, the 2017 Nissan NV Series offers an easy solution for nearly any commercial need with three key models: the Nissan NV200, the NV Passenger, and the NV Cargo.